Trucking giant Toll Ipec has taken formal delivery of a gas-powered Mercedes-Benz Econic prime mover. The compressed natural gas (CNG) Econic will operate out of Toll Ipec’s Altona depot in Melbourne. It will be used by Toll to move general freight between its Melbourne metropolitan depots. The Econic gas engine produces 205kW (280hp) of power and maximum torque of 1000 Nm from a seven litre engine. 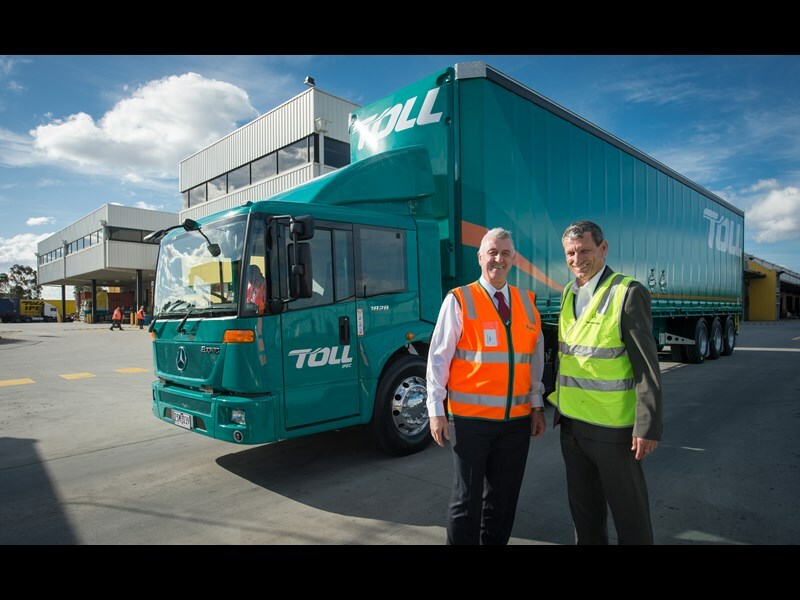 "We are very proud to present Toll Ipec with their first CNG-powered Econic," says Joachim Heinke, Senior Manager, Mercedes-Benz Trucks Australia. strengthens the partnership between Mercedes-Benz and Toll Ipec." The diesel version of the Econic had its Australian debut at the 2012 Melbourne Truck Show. Mercedes-Benz says emissions from the CNG Econic don’t contain any fine dust or particulates. It says the "gentle" combustion process means the high octane gas engines run smoothly and with low noise. The company says Econic’s "tailor-made" design combines a low floor cab, all-round air bag suspension and an automatic transmission.